I hope I’ll get a couple more posts for this one. I like this idea. For now though, here’s one from our recent stop in London. I thought this was a great shot of my little family walking between the trains. This entry was posted in Photography, Weekly Photo Challenge and tagged england, family, kids, paddington station, photography, postaday, postaweek, weekly photo challenge. Bookmark the permalink. What a great picture. I love the depth in it and it’s certainly knocked the ‘nail on the head’ in terms of the prompt. It looks like Euston or Kings Cross Station to me or am I completely wrong on that? Thanks for the compliment. 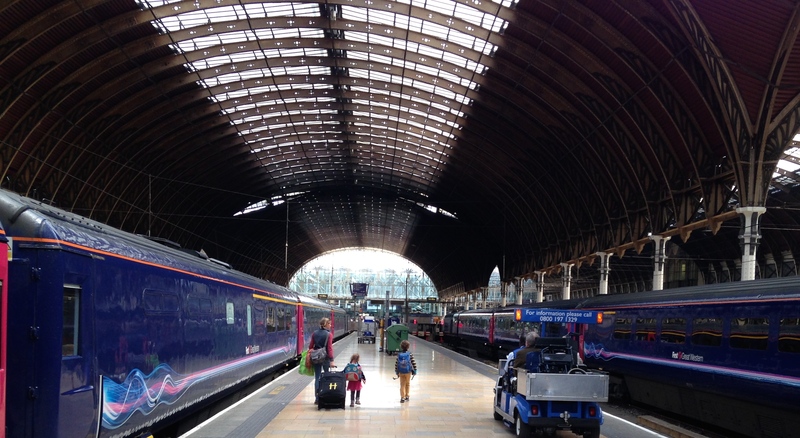 It was actually Paddington Station. So I was wrong. I should have known that, especially with being Welsh. Ben there many times to catch a train back to Wales.